The green signal to go ahead with building the third and fourth units of the Kudankulam has been given by the India’s Atomic Energy Regulatory Board. India’s Atomic Energy Regulatory Board (AERB) has approved the start of work on construction of the third and fourth units of the Kudankulam Nuclear Power Plant, with Russian participation, said R.S. Sundar, head of the KNPP, reported RIA Novosti. 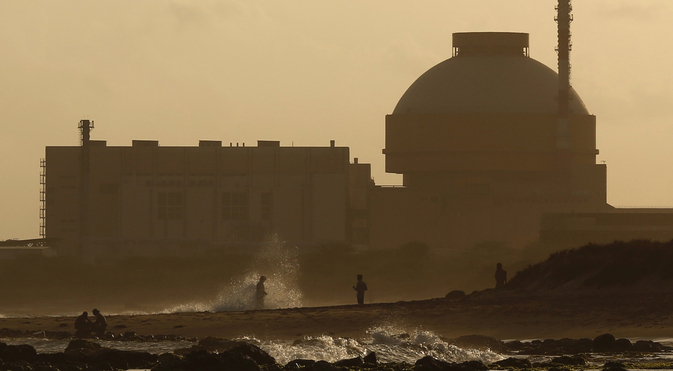 The first block of the Kudankulam NPP, with a capacity of 1000 MW, was connected to India’s national electricity grid in 2013. It was shut for its first scheduled maintenance in June 2015. It had operated for 9,200 hours and generated 6.8 billion kilowatt hours of electricity. “The second block is now at an advanced stage of commissioning, and is waiting for the AERB’s permission to load the enriched uranium fuel,” said Sundar, noting that the first start up is scheduled for the middle of this year. The Kudankulam NPP is being built with Russian technical assistance, in accordance with the inter-governmental agreement signed in 1988. In the spring of 2014, Russia and India signed a general framework agreement for construction of the second stage (the third and fourth blocks) of the nuclear power plant. The “road map” for cooperation in nuclear energy between India and Russia envisages the construction of 15 nuclear power blocks in India, including at the Kudankulam site. At the moment, Russia is the only country actually cooperating with India in the nuclear energy sphere, and building a nuclear power plant in there. The first power block of the Kudankulam NPP is among the most powerful in India, and meets the latest safety requirements.